Watch movies, listen to MP3 CDs, or review camcorder footage--all from one portable device. I own three of these , easy to use great picture and they’re all over 15 years old , long lasting ! As far as DVD players go, whether it's a model for the home, the car or portable, this system fits the bill under all three catagories. I primarily use the system in my car and plug it into my preamp and it performs expertly. The adjustments as far as the video screen, audio, playback etc are feature rich for such a small system. For the most part, it will play virtually any disc whether it's audio or video format. It does has a small issue with some burned DVD's but then so does my home DVD - par for the course. This system is highly recommended and there is cross compatiblity with some Mintek and Axis systems (remote controls, batteries, etc.) If you get one for less than 50 bucks, then buy it. These systems easily fetch 110 plus!! I bought this dvd player for my niece, so she can watch movies while in the car. The dvd player seems to work well and came in a very nice case and with several accesories. The battery however does not seem to keep a charge for very long, so she is always having to charge it either in a wall outlet or in the power outlet in her mother's car. No complaints on my end though, at least not yet. She has only used it once or twice, so we dont really know yet. I bought this Inital 7" portable TV model IDM 1731 as second hand a few weeks ago, and I am impressed with the easily menu features available on this inexpensive portable TV. It has stereo sound and also has a headphone jack allowing hearing your favorite picture or CD with your own headphones.I'd recommended it if you're on a budget. 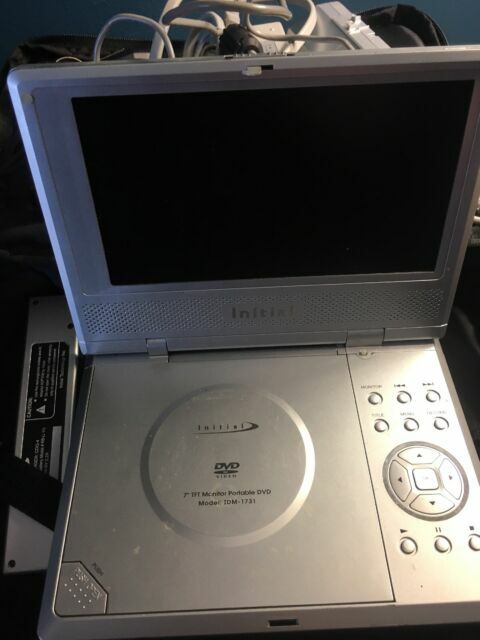 Best Portable DVD Player EVER! I absolutely LOVE this DVD player. It may not be the "top of the line" or anything but it has been the best one I have owed so far...goof enough that I am planning to by another one. My Mom owned one and it became mine since she never used it. Once I got it, it has been dropped countless times, thrown around by my 2 year old daughter, the battery pack snapped of it but still hold charge and works, just went pumped falls off but goes right back on. My daughter even dumped an ENTIRE small bottle of water on it to "clean it Mommy" and it STILL WORKS! I def recommend this player for anyone, esp those with kids because it has surpassed her Disney player even (which we have had to replace twice in less than 1 year already.